Our unrivaled list of features makes the our eCommerce Platform the best choice for most online retailers. Please click on the features below for more details, or give us a call at 1-800-914-6161 for a live demonstration. Shipping restriction tool enabling wineries to control which states they will and will not ship wine to, allowing them to comply with legal issues. Wineries can specify limits on the amount of wine shipped to customers in states that impose volume restrictions. Age verification integration with IDology to ensure customers are at least 21 years of age. Merchants can also use a legal disclaimer feature forcing customers to agree that the person receiving shipment is at least 21 years of age at the time of order submission. Wineries are able to charge sales tax down to the lowest level jurisdiction for states that require it. 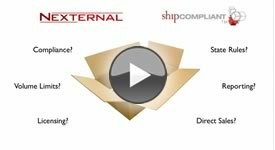 The ShipCompliant web interface makes it easy to pull order data directly into ShipCompliant. This is ideal for compliance reporting purposes. Wineries using both systems can also "push" data to ShipCompliant for real time compliance checks at the time the order is placed. Learn more. A bulk order feature enabling wineries to create and efficiently manage wine club shipments. Learn more. Wine Club Members can login to change their preferred shipping address and credit card. Capture new wine club sign-ups. A flexible pricing structure to accommodate mixed case and wine club member discounts. Learn more. An allocation tool to limit wine purchases by customer type if needed. Built in inventory control tools to prevent over-selling of wines. Customer order history is stored and searchable. Optional password protected access to online store/wines for specific customer types. Unlimited customer tiers/types for preferred pricing and/or product allocation purposes. Automatic email notifications to winery when a customer updates their profile online. Our eCommerce Platform is designed from the ground up to be search engine friendly, helping rank the winery's online store high in the search engines driving qualified traffic to a winery's website for those searching for their specific wines. Learn more. Product data from our online store is picked up and indexed daily by Wine-Searcher.com and Snooth.com. Learn more. 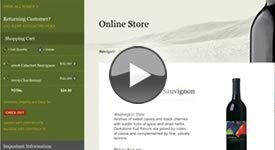 Integrated email marketing tool enabling wineries to communicate and announce new releases or special promotions to their customers to encourage online shopping. Learn more. Flexible coupon feature allows for creative marketing campaigns. Learn more. Our post order sharing feature makes it easy for wine buyers to post their latest purchases on both Facebook and Twitter. Learn more. Integrated shipping tools with FedEx, and UPS enabling wineries to print shipping labels directly from our Order Management System along with "Adult Signature Required" on the label, as well as pull tracking numbers which are sent to customers for their records. Integration with major payment gateways enabling efficient online credit card processing. Batch process all outstanding orders at once (credit cards and shipping labels). An always on screen shopping cart is easy to use from a customer perspective ensuring a high visitor to customer conversion rate resulting in higher sales revenues. Learn more. Several third party wine companies have built applications that interface with us including ShipCompliant, AMS, New Vine Logistics, Vintage Logistics, and Bacchus Distribution. We also offer an XML toolset that can be used to integrate with other systems. Learn more about all of our wine industry partners. QuickBooks export capabilities eliminating manual data transfer. Learn more. More than 10 years experience working in the wine industry, resulting in a clear understanding of the complexities of selling wine online. A knowledgeable Account Executive dedicated to each client to help optimize their online sales channel. Gift cards which may be redeemed in the online store or offline in a tasting room. Learn more. Wineries can self-update wines information, customers, orders, and more. Marketing and Promotional Tools Watch the Marketing Tools Video. 2 minutes 34 secondsOur eCommerce Platform is designed from the ground up to be search engine friendly. This is important because an optimized catalog can get significant free, targeted traffic. The software will also create an XML sitemap file in accordance with major search engines' specifications. Learn more. We have made it easy for a merchant's customers to share both product URLs and their purchases on the major social media sites. 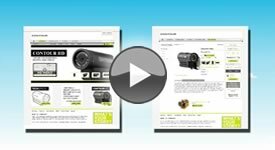 This is one of the best ways for a merchant's customers to promote the merchant's online store. Our software allows merchants to create social commerce promotions (similar to Groupon) that have tipping points. Social Buying is a popular new trend in eCommerce and can be a great way to build your customer list. Customers have incentive to tell their friends about a promotion so that the merchant's deal tips! Learn more. By integrating with Amazon Marketplace, our clients are able to easily sell products on Amazon. Orders a automatically transferred into the clients web based order management system for easy processing. Learn more. 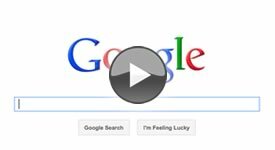 Merchants can configure our software to create and send a Google Product Search file to Google on a daily basis. This feature makes getting listed in Google's Product index easy and efficient. This data will also be displayed in Google Base results. Merchants can configure our eCommerce platform to create and send Amazon a product data feed file daily that can be used with Amazon Product Ads. This feature makes it easy to work with Amazon Product Ads. Merchants can have our software automatically create and send data feeds to Yahoo for inclusion in the Yahoo Shopping portal on a daily basis. This saves merchant time and is a good way to make sure their comparison engine has fresh product data. Merchants can have our software automatically create and send data feeds to Shopping.com for inclusion in Shopping.com and it's partner web sites. This saves merchant time and is a good way to make sure their comparison engine has fresh product data. Our clients can create a Shopzilla data feed within the Order Management System. This feature makes getting listed in the Shopzilla comparison shopping engine easy and efficient. Our clients can create data feed for TheFind within the Order Management System. This feature makes getting listed in the TheFind comparison shopping engine easy and efficient. Our clients can create a NexTag data feed within the Order Management System. This feature makes getting listed in the NexTag comparison shopping engine easy and efficient. Our clients can create a PriceGrabber data feed within the Order Management System. This feature makes getting listed in the PriceGrabber comparison shopping engine easy and efficient. The Mail Wizard allows merchants to create bulk e-mails and mailing labels. The merchant can select to send a message to either all of its online customers or just a specific segment of them based upon their purchase history. If they choose to send an e-mail, the format can be a plain text message or a rich HTML e-mail. Customers can automatically unsubscribe from the mailing list so that the merchant does not harass customers that no longer wish to be contacted. The mail wizard makes it easy to run promotions, allowing merchants with no coding experience to send e-mails with links that go directly to specific products in the merchant's online store or even a link to the store that automatically activates a coupon. Sending beautiful marketing email is even easier with MailChimp. Every 10 minutes, our platform will automatically push updated customer and affiliate information into predefined MailChimp Lists. This makes it incredibly easy to use MailChimp in conjunction with our platform. There are no customer lists to export and then import, data flows seamlessly. Learn more. Watch the Video. The tell-a-friend feature allows the merchants online store to promote itself. Customers will click on a button within the online store and be prompted to enter a friend's e-mail address. An HTML e-mail will be sent to that friend with a description of that product and a picture. Also included will be a link that allows the customer to jump directly to that product in the merchant's online store. Our software comes equipped with an affiliate module. Affiliates may sign up through this program and once approved, the merchant can track sales that are generated as a result of the affiliate's effort. Merchants can also set different commission levels for different affiliates and track payments to the affiliates. A very common use of this program is to track Return on Investment (ROI) from the pay-per-click search engines such as Overture. Our software is also compatible with ShareASale, Omnistar, Commission Junction, MyAffiliateProgram.com. eCoupons can be a great way to retain existing customers. Merchants can setup percentage off coupons, flat rate coupons, and free shipping coupons. Coupons can be set for a specific number of uses or can expire after a certain date. Merchants can get fancy with coupons and run such promotions as "buy product x, get product y at 50% off." Learn more. Allow your customers to rate and review your products. Many customers like to see what others have said about the products they are thinking of purchasing. Enabling customers to write reviews of your products can increase consumer confidence which is proven to increase your conversion rate. All reviews and ratings are moderated by the merchant. Rating info is also passed to Google Merchant Center. Learn more. You may configure your OMS to automatically send review reminder emails to customers after a select number of days. In doing so, not only are you allowing your customers to generate valuable feedback, but you are also bringing them back to your store at which point they may decide to shop again. Learn more. Merchants can setup relationships between various products in their online store and utilize these relationships to facilitate up sales. A merchant might say, "May we recommend accessory X?," on a product detail page for Product Y. Merchants can create search engine friendly content pages (articles) using our eCommerce software. Copy on these pages can be managed through a WYSIWYG editor making it simple for anyone to create and manage pages. These content pages are searchable from within the online store and by external search engines. RSS Feeds are a part of the storefront side of our software. Enabling RSS Feeds makes it very easy for users with RSS Readers to see when you have added new products to your online store. These feeds contain direct links to your products. 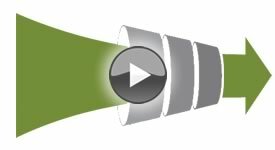 Order Processing Watch the Order Managment System Video. Batch order processing allows merchants to process many orders at one time. Merchants can process all unprocessed payments in one easy step as well as mark outstanding orders as "Shipped." This feature can save the merchant a significant amount of time each day. Learn more. Watch the video. From the Order Management System, clients can export all of their order transaction data to one of four formats. The formats are QuickBooks® , MYOB, Microsoft Access, and Microsoft Excel. This exporting capability enables clients to take their online order information and easily bring it back into their legacy systems. Merchants that utilize payment gateways can take advantage of the single click credit card processing. Directly from a web browser, the merchant can click on a button next to an order number that will authorize and post a credit card payment. Our software is compatible with Paypal's Payflow Pro, Authorize.net, and Chase Paymentech. This feature is a huge time saver for any merchant doing significant volume. 1 minutes 15 secondsMerchants that use drop ship vendors are able to take advantage of the DropShip Module. When our merchant has the drop ship functionality activated, the drop shipping company automatically receives an email notifying them of the products that need to be shipped along with the relevant shipping address. Merchants can log in to a vendor specific Order Retrieval & Update System where they can mark line items as shipped and supply tracking numbers. The entered tracking information is then available to both the customer and retailer. Learn more. Merchants can split line items into multiple shipments when creating labels via UPS, FedEx, GSO, and USPS for one order. This feature allows merchants to ship line items that are in stock, while shipping backordered/preordered line items at a later date. Our Order Management System can dynamically create merchant branded packing slips. These packing slips display the contents of the package and any special comments that the merchant wishes to send to the customer. Some merchants also choose to use the packing slip as a pick list when fulfilling orders. Our Order Management System can dynamically create merchant branded invoices. These invoices display the order line items with corresponding prices. When a merchant marks an order as "Shipped" in the system, the customer is automatically triggered an e-mail informing them that their order has been shipped. If a tracking number is entered, the customer will also receive this in the e-mail so that they may further track their shipment online. Sometimes merchants will receive a call from a customer wondering where their package is. If the merchant records the tracking number in the order management system, a button will appear that says, "Show Tracking Status." If the merchant clicks on this button, he or she will be able to see exactly where the package is in transit and can kindly inform the customer. 2 minutes 25 secondsMany merchants find that our software manages their data better than their legacy systems. Many of those merchants will opt to use the software to capture all of their order information. Through a separate script, orders can be created in the Order Management system for phone, fax, and mail orders. Some merchants have a need to create the same order, for all of the customers of a specific type. Such examples include a winery that has a wine club with quarterly shipments or a vitamin store with customers purchasing the same product repeatedly. These merchants can use our software to create such orders so that the can be conveniently processed through the our Order Management System. Merchants can opt to receive a notification e-mail every time an order is placed. This e-mail will contain a link directly to their Order Management System. For each SKU (stock keeping unit), merchants can input a warehouse locator code. These codes can then optionally be displayed on packing slips and invoices to make the picking process efficient. The warehouse locator codes will also show up on the printer-friendly order report. Mobile Commerce (m-Commerce)Watch the Mobile Commerce Video. We will deliver a mobile friendly version of your catalog to iPhone and Droid users. Not only is the catalog mobile friendly, but the entire checkout process is optimized for the mobile experience. To see an example, visit store.firstfairway.com on your mobile device. Subscription ManagementWatch the Subscription Video. What better way to offer your customers a convenient service, while generating recurring revenue for your business? Our eCommerce Platform allows you to capture and automatically create subscription orders with a complete back-end subscription management system. 48 seconds We have continued to receive more praise for our "always on screen shopping cart" than any other feature in the system. Online shoppers love the fact that they can always see what is in their cart as well as what the total purchase price without having to load up a separate screen. Customers can edit the quantity of a certain item or remove items from their cart. When coupons and customer discounts are used, these customers can see their discount in the cart, often times enticing them to buy more. The "always on screen shopping cart" is available with every storefront template. Learn more. Our eCommerce Platform has a Product Image Zoom tool so that customers can feel as comfortable as possible when about buying something when shopping in two dimensions. Mouse over the product image here to see an example from our demo store. Direct Checkout is an innovative ordering system that provides the fastest possible checkout for a single product order. With Direct Checkout, the ordering process is streamlined, without sacrificing functionality, to a single page. Learn more. By utilizing time-in-transit data and merchant specified lead-times, merchants can allow their customers to select a preferred delivery date when checking out. This is a powerful differentiator for many merchants, especially those in the gift giving industry. Our Order Management System makes it easy for merchants to see which order should go out that day. Learn more. When checking out, customers can select in store pickup. The system supports multiple pickup locations and the merchant can define which products are at each location. When an item is ready to be picked up, the customer automatically get an email. The single click reorder feature allows customers to select a previously placed order and easily duplicate it. This saves the customer time and provides convenience. Merchants can also create reorders from within the Order Management System. International shoppers have the option of displaying prices in their very own currency. Those converted prices are carried through the entire order process. Learn more. 53 secondsAlthough we will host your online store on our servers to ensure reliability and security, your visitors will not perceive a difference when they navigate from your website into your store. When you sign up with us, our design team will match the look and feel of your store to that of your website. You can even set up a domain alias so that your store resides on store.yourdomain.com. Learn more. The storefront software was designed with two concepts in mind: 1) Make it as easy as possible for customers to find what they are looking for 2) Make it as easy as possible for customers to checkout. With our "Smart Navigation" technology, it is impossible for someone to get lost in the checkout process. Returning customers can log in and check out with just a couple of clicks of the mouse. The online store allows customers to determine shipping and sales tax before registering any information on the web site. This feature makes customers feel comfortable so that they are more likely to continue and place their order. Learn more. Upon checkout, a consumer can see expected delivery dates for each shipping method. Our software is able to accomplish this by capturing expected shipping times from the merchant in conjunction with using the carrier time in transit information. Consumers can request to be notified when an out of stock item is added to inventory. The notification occurs automatically via email when the merchant adds inventory to the system. Learn more. Around the gift giving season, many customer want to place one order and yet ship line items to multiple locations. Our multiple ship to functionality allows this to happen. A customer can create separate shopping carts for different locations. This is a must have for gift basket companies. Learn more. Every eCommerce site needs searching capability. Our shopping cart software provides both a keyword search and an advanced search. The keyword search will query every element of a product looking for a specific word and return all relevant matches. The advanced search allows customers to get more specific and search for products based on multiple criteria such as product name and price. The Sort By Options feature allows merchants to control the options available to customers to sort products in the Online Store. Customers can sort products by price, popularity, rating, SKU, or any other custom field that the merchant defines. Similar to highly visited portals such as Yahoo, our storefront comes equipped with breadcrumb navigation. This navigation acts as a thread, keeping track of where a customer has been in a store and allowing him or her to easily go back to previously visited pages. Gift buying is a common action among online shoppers. For those customers who can't decide what to buy for a friend, a merchant can offer them eGift Certificates. If the lucky recipient does not use the full amount during one shopping session, he or she can return and use up the balance. These gift certificates are distributed electronically and can be tracked in the Order Management System. Customers of merchants using our eCommerce platform can redeem Chase Paymentech Gift Cards through the shopping cart software. These gift cards act much like the ones you can buy at Macys or Home Depot. These gift cards work great for merchants that have both a brick and mortar and online presence. Learn more. We realize that many companies have already created product and category pages on their web site. Our hosted online store is meant to act as an extension of the merchant's existing site and does offer the capability to create direct links to products or categories in the online store from those already existing pages. These links are automatically generated in our product management section. This feature is great for those companies that wish to feature certain products on their homepage and link directly to them in the online store. Often times online shoppers have special needs or requests that they feel must be communicated to the merchant prior to completing the order. With our hosted online store, customers have the option to enter comments and those comments are read by the merchant. Merchants using the software can give their customers the option to enter gift card text when placing an order. This feature is optional as it will not be applicable to all merchants. Merchants using the software can give their customers the option to request gift wrapping. This feature is optional as it will not be applicable to all merchants. We have partnered with Live Person to offer live chat capability. The live chat program is sold separately through Live Person, but can be easily added to a merchant's online store. This allows merchants to provide superior customer service and close more sales. Learn more. One way to increase orders is to offer multiple payment options. While most customers will choose to pay by credit card, there are some that will opt to pay by a different means. A merchant can configure our hosted store to also accept PayPal, C.O.D., Gift Cards, Gift Certificates or give its customers the option to be invoiced. Merchants are able to use an integrated help desk to better serve their customers. Customers may submit a question about a specific product and also examine questions that other customers have asked. The questions are managed by the merchant through the order management system. Merchants can upload multiple images for one product creating an image gallery. This helps merchants better merchandise their products and provides the consumer with increased confidence when purchasing online. To see an example of a product using the image gallery, click here. Robust Reporting Watch the Dashboard Video. The dashboard (available to administrators and editors) is a powerful tool that is designed to help you visually understand your online sales. You can setup a revenue goal and gauge it vs. your store's actual performance, see which states generate the most revenue, view top selling products, top customers, top search terms and much more. Merchants that have iPhones or iPads can install our Dashboard Plus App. Business Metrics are represented in a beautiful graphical format. Additionally, users can receive push notifications when orders are placed. Click here to learn more about Dashboard Plus. Administrators can view orders grouped by a specified date. This report is commonly used by the merchant's accounting department to reconcile merchant statements. Every successful businessperson knows that the key to existence is profitability. With the profit report, managers can view the profitability of their online channel. For this information to be accurate, the merchant must enter the cost of goods sold (COGS) in the product management section. This report shows line items and totals by ship to state. This data is particularly useful in such industries where merchants can only ship limited quantities of products to certain states. The printer friendly order report shows merchants order detail in a printer-friendly format. Merchants that have slow internet connections will find this report particularly useful. Merchants can select to print one order per page. The product report displays the following product information: product status, price, inventory, cost of goods sold. It allows product managers to get a quick snap shot of their product line. This report shows aggregate product order totals by customer thus allowing merchants to see what specific customers are buying. This can be particularly useful information when initiating targeted marketing campaigns. This report shows product sales grouped by vendor. This information can be particularly useful when forecasting and reordering from vendors. Who are the best affiliates? What are the best marketing channels? This report shows order totals and commissions, grouped by affiliate. This report shows aggregate affiliate order totals and commissions, grouped by affiliate category. Our software can be used internally to capture phone, fax, and mail orders. The user report displays order totals by employee or user. The sales tax report breaks down sales tax collected by its lowest level of jurisdiction. This can really help merchants save time when filling out tax forms. Our eCommerce software is integrated with Google Analytics for those merchants looking for extensive eCommerce reporting. Merchants simply need to put their Google Analytics account number into our software and it takes care of the rest. It also integrates with many other on-demand web analytics packages. Learn more. Users can record non-order activities such as phone call dialog, emails sent, and emails received. Being able to track all correspondence with customers in one system is makes us a very powerful CRM Tool. Learn more. Users may be assigned to customers and may specify follow-up dates. Within the system there is a Today button. Clicking the Today button will execute a search that displays a list of all customers that have a follow-up date of today that are also assigned to the logged in user. This makes is very easy for your company's staff to follow-up with customers for both sales and customer service. 1 minutes 54 secondsWe have built a free turn-key application, available in the Salesforce AppExchange, called the Nexternal eCommerce Connector. Companies that use Salesforce and us are able to use our eCommerce Connector to automatically pull shipped orders with associated line items from us into Salesforce.com as closed / won opportunities. 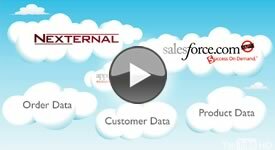 Customers using our software are pulled in and mapped to the Salesforce.com Account and Contacts objects which will include activities created in Nexternal. Products sold in the online store will also be pulled into Salesforce in the Products object and will include sales data. eCommerce Connector enables Salesforce.com users to view an Account and see all information pertaining to that account including order history. Learn more. The UPS Shipping Tool allows merchants to create shipping labels directly from their Order Management Systems. This tool will also pull tracking numbers into the Order Management System directly from UPS, significantly decreasing fulfillment time and eliminating the need to use UPS World Ship software. Learn more. The Rates and Service Selection Tool allows our software to pull in real-time rates directly from the UPS database based on the ship from location, ship to location, and the total weight of the order. Merchants can create adjustments if they wish to charge more or less than the returned rate. This tool allows merchants to charge accurate amounts for shipping, helping reduce shopping cart abandonment. Learn more. The Tracking Tool is useful for keeping the customer informed of their shipping status. We have integrated the tool such that the point A to point B information is viewed in a merchant branded window. Learn more. The Address Validation Tool is designed to reduce erroneous order information. As a customer checks out, his or her address information is validated in real-time via the UPS database. If the city, state, and zip code combination are not valid, the system will inform the customer and provide them a list of suggestions. Reducing erroneous order information saves the merchant both time and money. Learn more. The FedEx Shipping Tool allows merchants to create shipping labels directly from their Order Management Systems. This tool will also pull tracking numbers into the Order Management System directly from FedEx, significantly decreasing both fulfillment time and data entry errors. Learn more. FedEx Rates allows our software to pull in real-time rates directly from the FedEx database based on the ship from location, ship to location, and the total weight of the order. Merchants can create adjustments if they wish to charge more or less than the returned rate. This tool allows merchants to charge accurate amounts for shipping, helping reduce shopping cart abandonment. Learn more. The GSO Shipping Tool completes the order process by allowing you to create GSO Shipping Labels and obtain GSO Tracking Numbers from within your Order Management System. Learn more. The GSO rate tool calculates shipping rates directly based on your account number. With this tool activated, rates generated by the tool are quoted (in both the Online Store and Order Management System) whenever possible. Learn more. The GSO Tracking Tool allows both you and your customers to track GSO shipments in a fully integrated manner. In the Order Management System, tracking information can be accessed from the Order Detail screen, whenever possible. In the Online Store (both BtoC and BtoB), tracking information can be accessed from the Order Status Screen, whenever possible. Customers can also access tracking information directly from the Shipped E-Mail. Learn more. The USPS Shipping Tool completes the order process by allowing you to create USPS Shipping Labels and obtain USPS Tracking Numbers from within your Order Management System. Learn more. The USPS Rates Tool calculates shipping rates directly, based on current USPS published rates. With this tool activated, rates generated by the tool are quoted (in both the Online Store and Order Management System) whenever possible. Learn more. The USPS Tracking Tool allows both you and your customers to track USPS shipments in a fully integrated manner. In the Order Management System, tracking information can be accessed from the Order Detail screen, whenever possible. In the Online Store (both BtoC and BtoB), tracking information can be accessed from the Order Status screen, whenever possible. Customers can also access tracking information directly from the Shipped E-Mail. Learn more. By integrating with Endicia, our online merchants are able to print USPS labels with postage directly from our Order Management System. This greatly increases the efficiency of the fulfillment process for merchants that ship via the United States Postal Service. Learn more. We recognize that merchants may want to calculate shipping cost in a way that makes more sense for them. Our software includes 10 shipping cost calculators to fit any merchant's needs. Merchants can calculate shipping based on the number of items ordered, the price of the products, the weight of the products and many other techniques including simple flat rates. Learn more. A Merchant can define geographic zones based within the United States. International Orders can be treated as a separate zone. Shipping methods can also be defined by zone. Learn more. Merchants can define shipping rates based upon the cost calculation, the zone, and the shipping method. This gives the merchant the ultimate flexibility. Learn more. Merchants may specify shipping methods and shipping rates based on multiple ship from locations. This is necessary for companies that drop ship or ship from multiple warehouses. Learn more. As products are ordered, our Inventory Feature will decrement inventory levels for the relevant SKUs. When levels reach a merchant defined level, the product status can change and the merchant is emailed a note informing them of the product level deficiency. Inventory levels can also be imported using a Microsoft Excel spreadsheet. Our eCommerce software gives merchants the ability to setup product kits (products that are comprised of more than one SKU). Inventory is decremented for the child SKUs accordingly when a kit is ordered. Often times Merchants have products that are very similar to one another. With the click of a button, such products can conveniently be added to the online store using the copy product feature. Consumer goods can often be complex. A product may come in different sizes, shapes, or colors. Because of this, we allow merchants to create products with an unlimited number of attributes. Better yet each attribute (such as color) can have an unlimited number of options (such as green, blue, red, etc). The software will create all combinations and allow the merchant to define a SKU for each combination. A merchant may define different prices and assign different images to products that have attributes. When a customer selects a specific combination of options for such a product, the screen will change to show the merchant defined price and image for that specific SKU. For merchants that sell food items and non-food items, it is important to tax the order accordingly. We allow the merchant to define a product as either taxable or non-taxable and will calculate the total sales tax per order accordingly. Write-In-Attributes are particularly useful for merchants that sell custom products. An example of this would be a company selling shirts with Monograms. The customer could enter his or her monogram using the write-in-attribute. A merchant can create up to 6 custom fields for their product line. A clothing retailer might use such a field to designate "Brand" while a winery might use it for "Vintage." For the merchant selling hundreds to thousands of products, intuitive categorization of the product line is a must. Our software allows clients to have an unlimited product hierarchy. A merchant may have Categories, Sub Categories, Sub-Sub Categories and so on...there is no limit. Merchants should make their products as easy as possible to find. Often times this means putting one product in multiple categories. Our software allows merchants to put a product in as many categories as it deems fit. By drilling down on a specific product, the merchant can view all information pertaining to a specific product including total product sales. Merchants can opt to set up volume or quantity based discounting for a specific product. As the order quantity changes, the products unit price can change accordingly. For clients that want to change certain elements of their product line (such as price) quickly, we provide a quick edit view that looks and functions much like a spread sheet. The software is fully equipped with a vendor management section. As merchants add products to their online stores, they can specify a vendor. The merchant can use the system to track vendor contact information as well as create reports to view online sales by vendor. Our product manager allows merchants to easily upload product images and thumbnails with just a web browser. If the merchant does not have the capability to size the image using graphics software, he or she can specify a width or height and have the HTML resize the image. Merchants can use a WYSIWYG Editor to create rich text in product descriptions and other areas of the application. This is very useful for merchants that are not experts with HTML. Often, merchants have a special group of customers that they give special deals to. This may be a merchant specific club or even employees. The software allows the merchant to assign specific customers a special discount. When that customers orders, they will see the discount in their shopping cart and on the final order screen. Learn more. With an order volume discount, merchants can offer their customers incentives to order more such as, "Buy X number of items and receive Y percent off of your order," or "Buy X dollars worth of products and receive Y percent off of your order." Learn more. Allow the unit price of a product to change based on the number of units ordered at one time. Learn more. Category discounting allows merchants to offer a percentage off based on the number of products ordered within a category. If the merchant were a winery, they might use this feature to offer discounts on mixed cases of wine. Learn more. Our eCommerce software complies with the Payment Card Industry (PCI)Data Security Standard. PCI is an agreed upon standard by all of the major credit card companies. Our shopping cart is scanned daily by McAfee corporation. The network is tested and certified to pass the "McAfee Secure" Security Scan. To help address concerns about possible hacker access to confidential data, the "live" McAfee Secure mark appears in the shopping cart application. We use the latest Secure Socket Layer (SSL) Technology. Security certificates are issued by Thawte - a leading data encryption company. Merchants can setup different levels of access for different employees thus allowing just specified employees to see certain data and modify it. We host our software at a state-of-the-art Internet Data Center. The facility is monitored 24/7 and has multiple backbone connections to ensure up time. We are guaranteed 100% uptime. We host our software at a state-of-the-art Internet Data Center. Access to the Internet Center is limited to just a select group of company employees. API / XML Tools Watch the XML Tools Video. The OrderQuery tool allows merchants to "export" all order information including customer and line item data. Learn more. The Order Calculate tool allows merchants to retrieve information about the possible shipping rates and methods,discounts and taxes, and the current inventory levels for each line item in an order. This tool is handy when creating applications that are going to eventually create orders in our software.Learn more. The OrderCreate tool enables merchants to push order data into our software from third party systems. This is useful in many scenarios. For example, if a company moves to us from a different system and wants to keep historical order data or if a merchant uses a third party call center and wants to push data from their software into our eCommerce Platform. Learn more. The OrderUpdate tool is used to update Order and Line Item Statuses including importing tracking numbers.Learn more. The CustomerQuery tool contains all customer information including custom field and additional address information.Learn more. The CustomerUpdate is used to update and add customer information including multiple addresses and preferred credit cards. Learn more. The ProductQuery allows merchants to "export" all information specific to products. Learn more. The ProductUpdates allows merchants to add and update product information. Learn more. 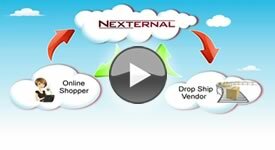 allows the merchant's Nexternal system to receive inventory information from another system. Inventory could also be updated via the ProductUpdate, however, this tool is much simpler if the only goal is to update inventory levels. Learn more. The SavedCart query completes the suite and will return information about customers who have placed items in their Shopping Carts, but have not yet completed the checkout process (abandoned carts). Learn more. Merchants can export order data into three formats; QuickBooks, Excel, and Access. The QuickBooks export creates a .iif file that can be easily imported into the merchant's QuickBooks program. The Excel and Access Exports can be used in a way that the merchant sees best fit. Learn more. Many clients desire to sell hundreds to thousands of products. We understand that for such clients, adding each product one at a time would prove inefficient and slow - especially if the merchant already has the product data in an electronic format. Merchants can use our import feature to add or update products using a Microsoft Excel spreadsheet. Merchants can also export their product data to both Microsoft Excel and Microsoft Access formats. Product data that is exported to Excel can be modified and re-imported to perform an update. For merchants that are transitioning from an existing eCommerce solution, we provide a customer import feature. Using Microsoft Excel, merchants can import customer contact information. The merchant can then market to these customers using the powerful Mail Wizard. For the merchant's convenience, customer information can also be exported to both Microsoft Excel and Microsoft Access formats. Merchants can import inventory by SKU, on both the product and SKU (attribute) levels. This import is used to update existing products only. Merchants can import and export coupon codes and properties. This can be very useful when creating serialized coupons. The business to business module is much like the online store, the main difference being that it is password protected so only designated customers can gain access to it. Learn more. In the Order Management System, a merchant can create an unlimited number of customer types. These customer types can be assigned to specific customers. Learn more. Merchants can choose to set different prices per product, by customer type. Customers are recognized by type upon entry to the business to business module and will see the appropriate prices as established by the merchant. Learn more. Businesses or sales reps can generate custom quotes for customers. Those customers are then able to log in and activate quotes (turning them into an order) or cancel quotes. Learn more. Merchants can allocate products by customer type. Customers are recognized by type upon entry to the business to business module and will only be able to purchase a maximum amount of a given product as established by the merchant. Learn more. With our software, customers can have the option of entering a purchase order (PO) number. Learn more. Merchants may set certain customer types to be exempt from sales tax. This would more frequently occur in business to business transaction. Learn more.